A baby's digestive system is very sensitive. It is still growing which makes it more vulnerable to infections and diseases. A small change in your baby’s diet or a wrong ingredient even in a small quantity can disturb the functioning if your baby’s digestive tract. A lot of mothers especially first-time mother are always worried about their baby’s digestive health. A such a young age you cannot give medicines to your baby for everything. Natural remedies are best for a baby as they do not possess any side effect. Incorrect position while breastfeeding can also cause digestive problems. It can lead to gas or acid reflux. While feeding makes sure that the baby's head is placed higher than its stomach. This posture makes sure that the milk goes down to the stomach and the air comes up which can be easily burped out. When you keep your baby on your lap then make sure that you keep your legs in such a position that the baby's head is slightly higher or you can also use a soft pillow to support the neck. Gentle massage on your baby’s stomach can ease digestive problems. Gently massage the area around the belly button of your baby. Do not press too hard. You can massage your baby's stomach in a circular motion. You can also use some baby oil or cream to give massage to your baby's stomach. Make sure that your baby burps every time after feeding. It is also a way to stop digestive problems in babies. Burping the air can prevent gas and it will also prevent your baby from spitting up the milk. After feeding wait for a few minutes and then hold your baby on your shoulder and pat gently on its back. Do not give extra foods or drinks to your baby if your baby faces digestive problems after consuming it. Stick to breast milk only until advised by the doctor. Consult your doctor before feeding anything else to your baby. If you notice that your baby is facing any kind of problem then stop giving it to your baby. Also do not cut breast milk from your baby's diet suddenly. Slowly reduce the capacity when your baby is able to consume other food properly for optimum growth. Gripe water is the ultimate solution to all stomach related problems since ages in babies. Gripe water contains sodium bicarbonate with water and many herbs. It is also one of the safest ways to treat gas in babies. It can work in just five minutes. It can soothe your baby effectively in no time. 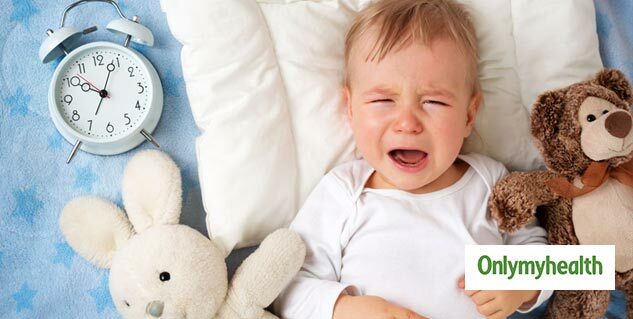 Never give your baby any kind of medicines without consulting your doctor. Try these home remedies, if the condition goes out of control then pay a visit to your doctor. Read more articles on Parenting.